All people deserve quality care and quality of life as the end of life draws near. Hospice care can provide this and more. Here we hope to provide informative answers to some of the most commonly asked questions regarding hospice care. An interdisciplinary health care team manages hospice care. Typically, the hospice doctor or medical director is in charge of your care, though your diagnosing doctor and/or primary care physician can also be involved. Doctors, nurses, social workers, home health aides, chaplains and trained volunteers care for the patient and their family. Together, they give complete supportive care aimed at relieving physical symptoms and giving social, emotional, and spiritual support. This comprehensive care can be provided in a patient’s home, an assisted living facility, hospital, nursing home or private hospice facility. There are two key signs that suggest it might be time to bring up the topic of hospice for someone with a life-limiting illness such as ALS, Parkinson’s Disease, end-stage cancer, renal disease, frailty, COPD, among others and nearing the end of life. One, if a patient with a life-limiting condition is having increasing difficulty taking care of themselves and struggling with basic tasks such as walking, getting out of a chair, bathing, dressing, and using the toilet, it may be time to consider hospice. Hospice care is designed to help with all of those things. Second, if symptoms of the disease are becoming difficult to manage or there is a steady or significant decline in the patient’s condition. This may manifest itself in frequent trips to the emergency room or more than two stays in a hospital within one year due to severe pain, shortness of breath or profound fatigue. Other signs may include oxygen dependency, dramatic weight loss and decline in cognitive function, among others. The hopeful news is that not only are all of these symptoms treatable in hospice, most of them can be improved or eliminated, greatly improving the quality of the patient’s life. What sort of care can I expect from hospice? An interdisciplinary team comprised of the hospice doctor as well as the patient’s personal doctor, a registered nurse, home health aides, social worker and chaplain creates a care plan with the patient and family that is used to make sure the patient and family receive the care they need from the team. The hospice doctor (and possibly the patient’s personal doctor) along with a case manager, typically a registered nurse, work together to provide comfort care which is designed to alleviate physical pain and symptoms. To qualify as hospice, all curative treatments must cease, and the aim of treatment turns to comfort and ease of symptoms. This is usually accomplished through the administration of pain medications. Medication type and dosage will be prescribed to enhance, not hinder, a patient’s dignity and quality of life. A case manager usually visits weekly, but the frequency can increase depending on the treatment plan and circumstances. The hospice doctor typically reviews the case of each patient on a weekly basis and makes adjustments as needed. Certified nursing aides (CNA) and home health aides (HHA) visit multiple times a week and assist with more routine needs such as bathing and dressing, serving meals and helping patients to eat, turning or repositioning patients who are bedridden and many other tasks. A social worker, chaplain and volunteers work to provide social, emotional and spiritual support to both the patient and their family. Family-provided caregivers attend to the remaining needs of a patient, such as housekeeping, meal preparation and daily medication administration. These tasks can be performed by family members or third parties the family chooses to involve in the patient’s care. 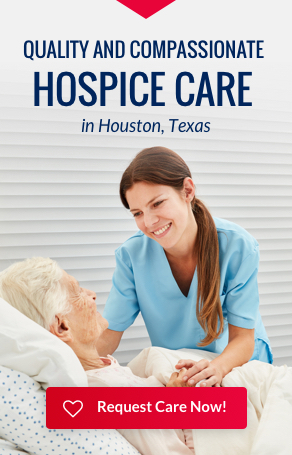 The hospice care provider will help caregivers learn to perform these necessary tasks. While hospice staff may not be physically present with the patient at all times, hospice care is always available and on-call seven days a week, 24 hours a day. Most hospices have nurses available to respond to a call for help within minutes, if necessary. Some hospice programs have chaplains and social workers on call as well. If acute challenges arise, around the clock medical care at a patient home or within a hospital can be arranged until care can be managed again within the parameters of the treatment plan. Can I change my mind if I want to pursue a new treatment? Most definitely. Patients can and do leave hospice because their condition stabilizes or because they want to pursue curative treatments again. If a discharged patient wants to return to hospice care, Medicare, Medicaid, and most private insurance companies and HMO’s will allow readmission. Per the Patient Self Determination Act of 1990, though your physician may provide a hospice referral, the choice is yours and you are under no obligation to use the program your doctor may refer. You, as the patient, are free to use any hospice provider of your choosing. Selecting an appropriate end-of-life program for yourself or for someone for whom you care deeply can seem like a daunting task. The American Hospice Foundation has compiled a helpful list of tips to help you make an informed assessment. Hospice care is paid for in a variety of ways with Medicare, Medicaid, private insurance, TRICARE and charitable funds, if needed. Hospice care is not limited to six months of service. A patient in the final phase of life may receive hospice care for as long as necessary when a physician certifies that he/she continues to meet eligibility requirements. Hospice care allows people to spend the end of their lives in their own homes, free of pain, surrounded by family and loved ones. We hope this article was helpful as you decide if this is the right choice for you or a loved one. Accredited Hospices of America is pleased to provide “Understanding Hospice”, a blog series geared toward providing people with life-limiting illnesses and their families a solid knowledge-base of hospice that will help them make informed decisions.